This paper presents a new application of an advanced hierarchical sensitivity analysis of a new climate model of barrier island geomorphological evolution. The implemented sensitivity analysis in this study integrates a hierarchical uncertainty framework with a variance-based global sensitivity analysis to decompose the different model input uncertainties. The analysis can provide quantitative and accurate measurements for the relative importance of uncertain model input factors while considering their dependence relationships. The climate model used in this research was the barrier island profile (BIP) model, which is a new computer code developed to simulate barrier island morphological evolution over periods ranging from years to decades under the impacts of accelerated future sea-level rise and long-term changes in the storm climate. In the application of the model, the BIP model was used to evaluate the responses of a series of barrier island cross-sections derived for Santa Rosa Island, Florida, to random storm events and five potential accelerated rates of sea-level rise projected over the next century. The uncertain model input factors thus include the scenario uncertainty caused by alternative future sea-level rise scenarios and the parametric uncertainties of random storm parameters and dune characteristics. The study results reveal that the occurrence of storms is the most important factor for the evolution of sand dunes on the barrier island and the impact of sea-level rise is essential to the morphological change of the island backshore environment. The analysis can provide helpful insights for coastal management and planning. 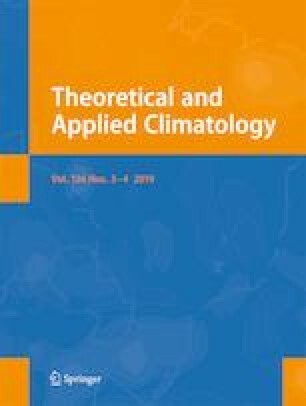 This hierarchical sensitivity analysis is mathematically general and rigorous and can be applied to a wide range of climate models. This research is supported in part by the DoD Strategic Environmental Research and Development Program through contract number SERDP RC-1700 and by the DOE Early Career Award, DE-SC0008272, which was awarded to the corresponding author. We would like to thank Dr. Stewart Farrell for providing the dune data.